Enjoy the best inspirational, motivational, positive, funny and famous quotes by Amy Hastings. Use words and picture quotations to push forward and inspire you keep going in life! 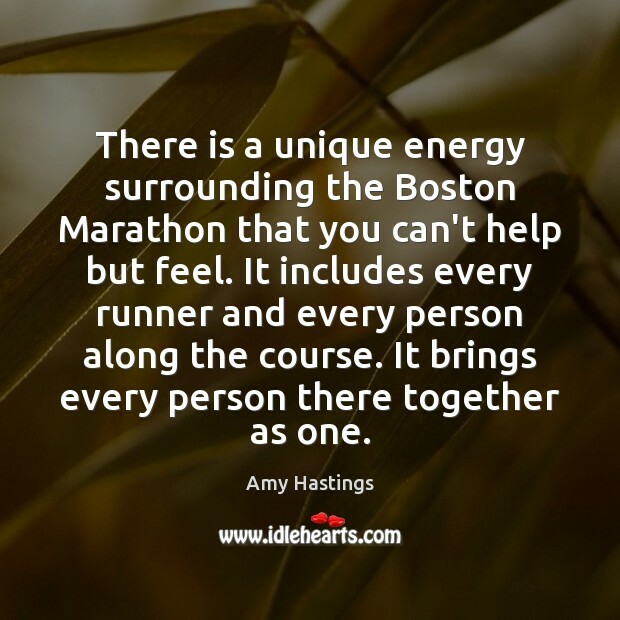 There is a unique energy surrounding the Boston Marathon that you can't help but feel. It includes every runner and every person along the course. It brings every person there together as one. I can't wait to be racing through the streets of Chicago. 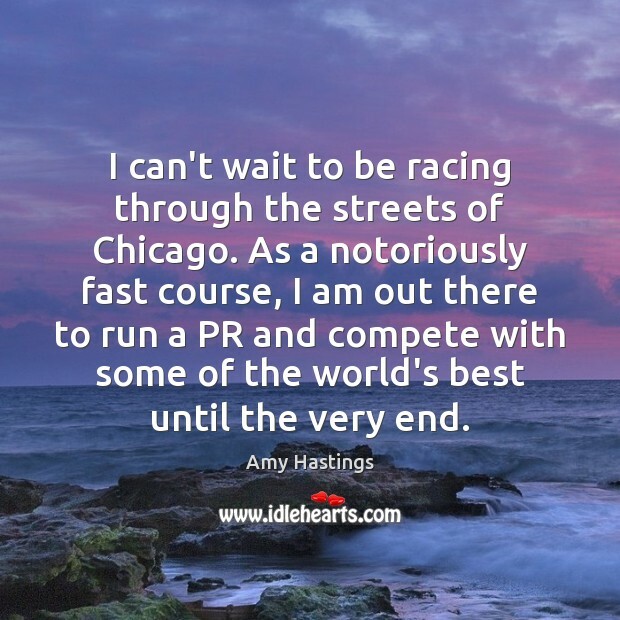 As a notoriously fast course, I am out there to run a PR and compete with some of the world's best until the very end.